City Plants offers free shade trees to plant in your yard, on private property, and in your parkway, that strip between the sidewalk and the street. If you live or own property in the City of LA, you are eligible to receive free trees from City Plants. 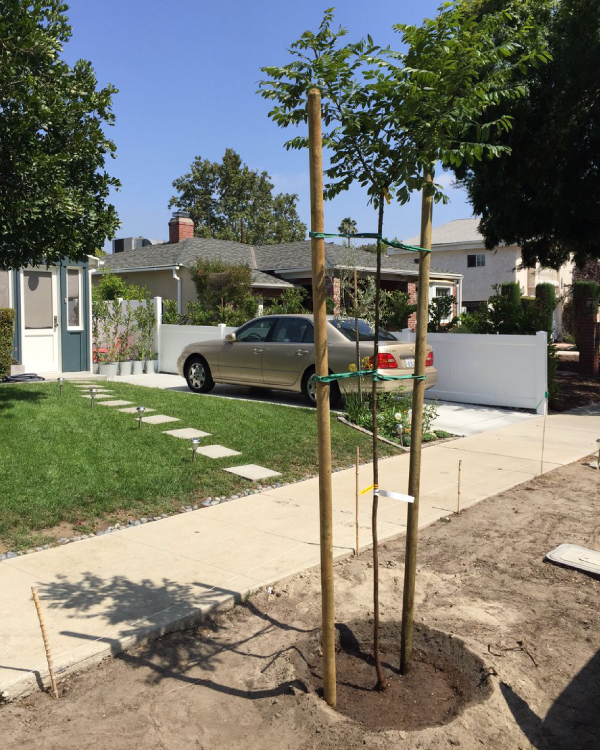 If you live in the City of Los Angeles, you can receive free trees to plant in your yard! Planting trees in your yard is an easy way to save energy and cool your home. 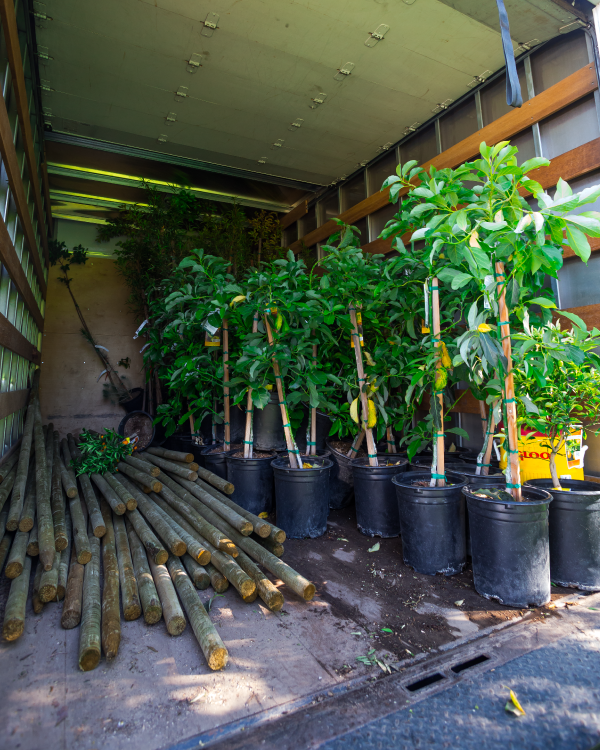 We’ll supply you with up to seven free, water-efficient shade trees and deliver them straight to your door, along with stakes, ties, and fertilizer pellets to get your trees started off right. Are you lacking street trees in front of your home or business? Sign up today and we’ll take care of the whole City process of permitting and planting your street trees for you. All you have to do is water them! Don’t want to wait for a yard tree delivery? Find us at a community event near you and take home your very own yard tree that same day or host an adoption of your own. Trees make students feel welcome and can even help them learn. If you are a principal or plant manager who wants trees, send us your information, and we will connect you to one of our non-profit partners to create a plan, if possible. Turns out money does grow on trees! Research shows that having trees in front of your business attract more customers, and that customers pay up to 12% more for the same goods when trees are present. City Plants can help! Sign up to request free trees for your business today. Please note that you can only request trees for commercial properties with the permission of the building owner or property manager. Do you want to bring greenery to your apartment building or Homeowners Association? City Plants is excited to now offer our free tree program for the parkway in front of your apartment building. Not sure if you qualify for our programs? Type in your address here to find out! If your address yields information with the council district number, then you are a resident. If your address is not found, you do not reside in the City proper. If you postal address says “Los Angeles” it is possible that you live in an unincorporated area of LA County, meaning that your neighborhood is not a part of an official city.